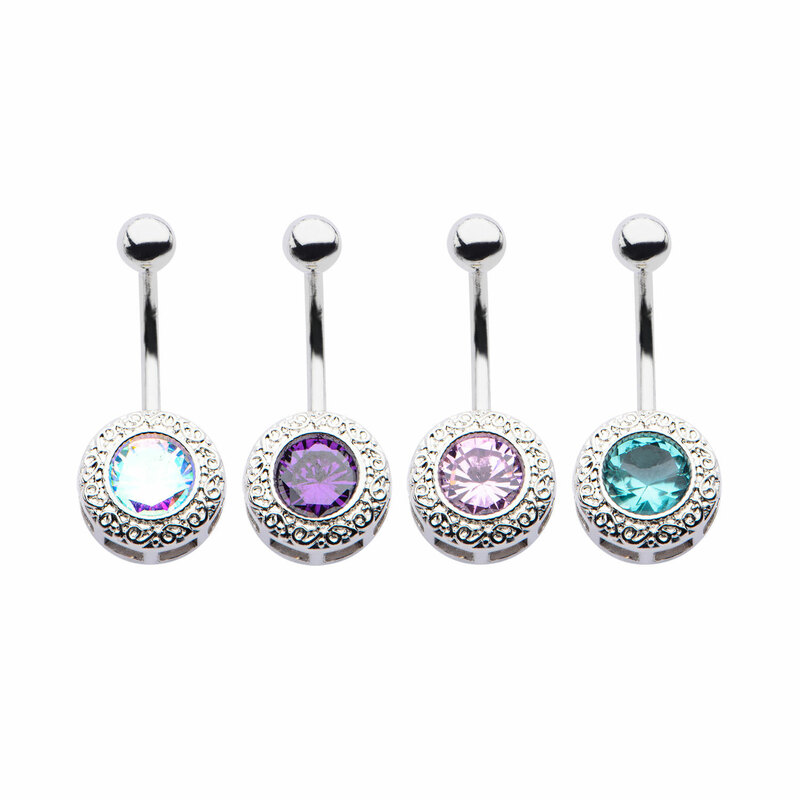 14g 7/16 Navel with Round Gem fixed Charm. Made from 316L. Sold Individually.